A New Kind of Disruption. 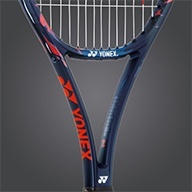 The game has never seen racquet designs like this before- ones that focus on only the essentials and strip away all the unnecessary elements. 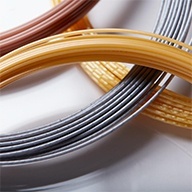 What remains are timeless, uncontaminated designs, meticulous in detail and bold in their beauty. 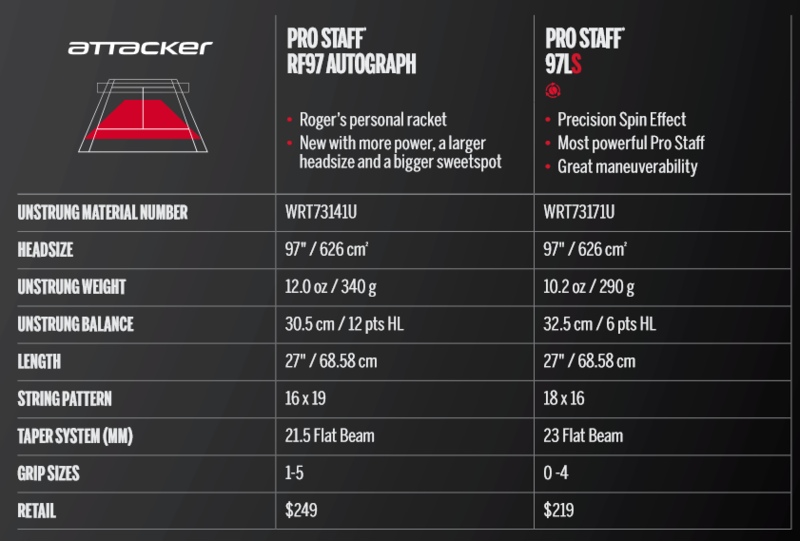 They create racquets that want to be held and a psychological edge for the player bold enough to pick one up. 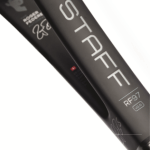 The RF97 and Pro Staff line are 100% designed by the man himself, inspiring all of 2017’s performance racquet aesthetics. 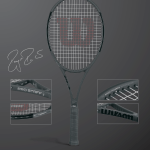 Wilson stared from a black slate, removing all the unnecessary elements that exist on today’s racquets, and re imagining how racquets are designed and manufactured form the inside out. With features like laser-cut letter engravings and chrome grommet medallions, every design detail has been meticulously explored. From texturized paints to light absorbing matte finishes, sleek reaches a new level as the opposite and gets a tactile experience like never before- velvety and smooth for attackers and slightly rougher texture for baseliners who need more secure grip. In 2017 Wilson bets on creating a complete collection of tennis gear. 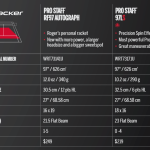 Countervail racquets, Amplefeel shoes and Amplicool apparel: three all-new performance line innovations that redefine how far players can take their game. Each technology lets players train harder, play longer and go faster than ever before. Players won’t just reach their potential in 2017, they’ll break right through it. 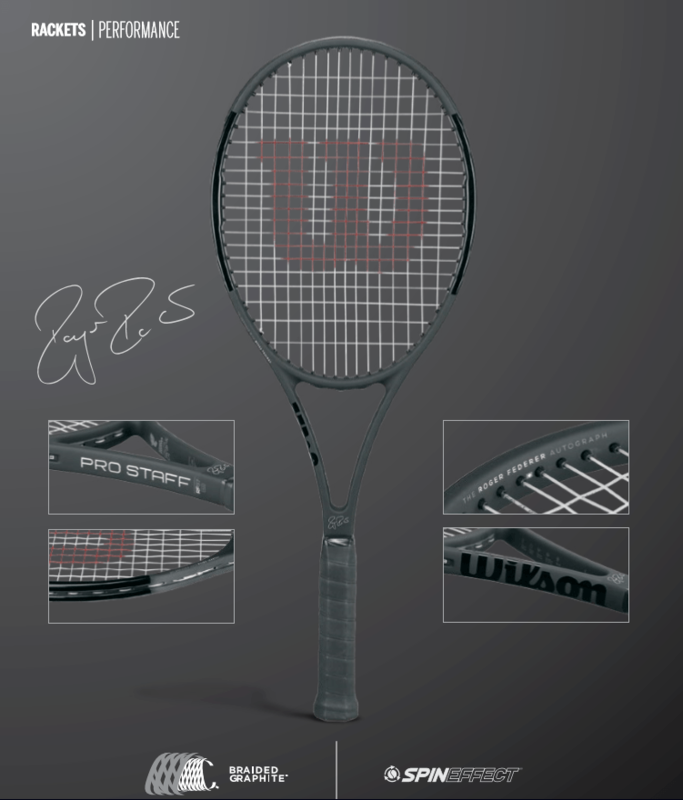 The Wilson Pro Staff will pre-sale on August the 18th and will be released the first week of September. 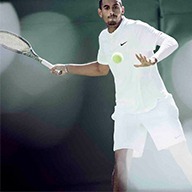 Log on to www.tennisplaza.com for more information an get the best tennis gear from your favorite brands.